Reconditioned ICOM F-121 VHF Mobile Radio - Like New! 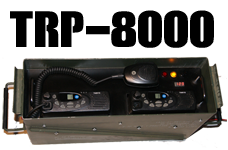 We stock a large selection of Reconditioned ICOM F-121 VHF Mobile Radios. Each unit has been benched tested and comes complete with a 1 year warranty. These radios punch a powerful 50 WATTS Output and 128 Channels! We include Free Programing with every sale. These are reconditioned units and are like new. "Also works in the Amateur Radio Band 144 - 148 Mhz 25 Khz Spacing"